From your cell phone, text 313131 and type in the keyword “bluebonnet” for our latest news and alerts. What is the YES Waiver? disturbances to live in the community with their families. natural supports that families and communities provide. 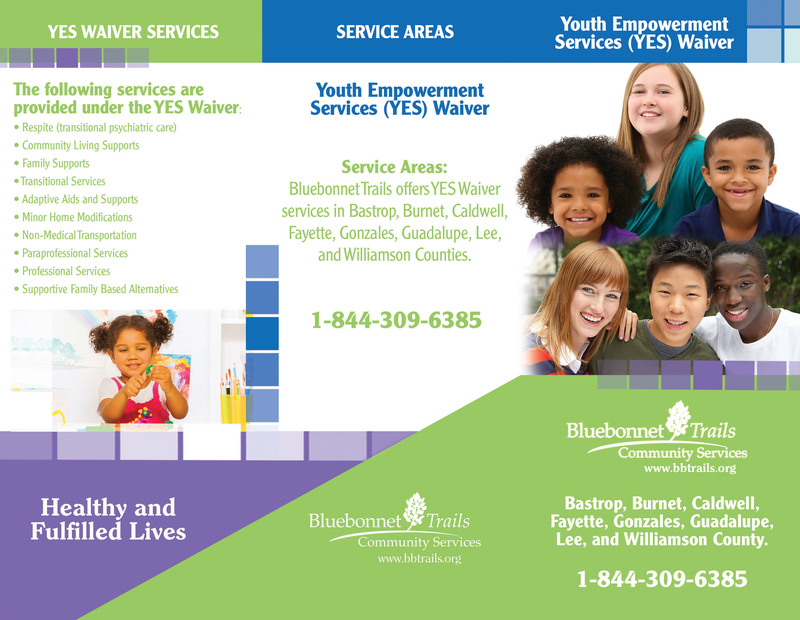 Bluebonnet Trails offers YES Waiver services in Bastrop, Burnet, Caldwell, Fayette, Gonzales, Guadalupe, Lee, and Williamson Counties. Please call the phone number listed below to find out more about services in your area. Preventing entry into the foster care system and relinquishment of parental custody; and improving the clinical and functional outcomes of children and adolescents. 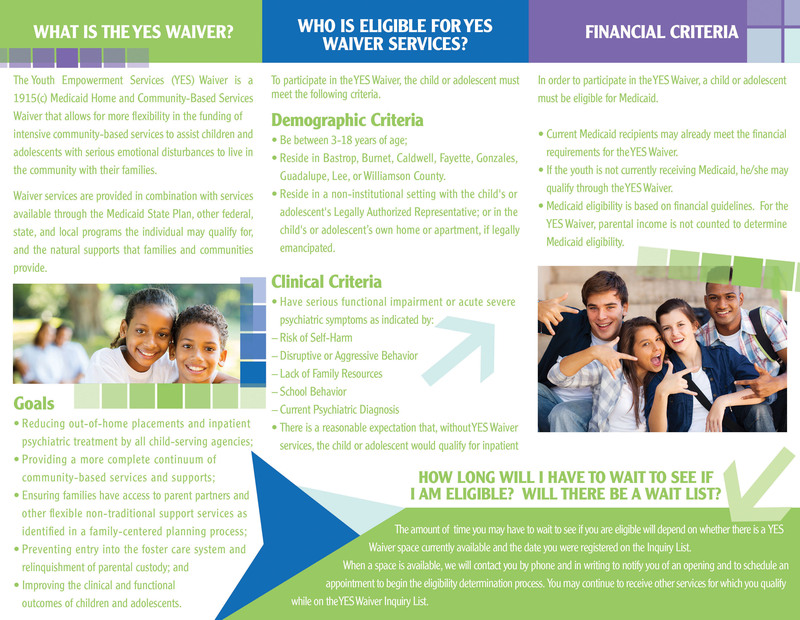 Who is Eligible for YES Waiver Services? To participate in the YES Waiver, the child or adolescent must meet the following criteria. Reside in a non-institutional setting with the child’s or adolescent’s Legally Authorized Representative; or in the child’s or adolescent’s own home or apartment, if legally emancipated. There is a reasonable expectation that, without YES Waiver services, the child or adolescent would qualify for inpatient care.